Tech O Blog : Microsoft's official blog and Twitter account hacked ! 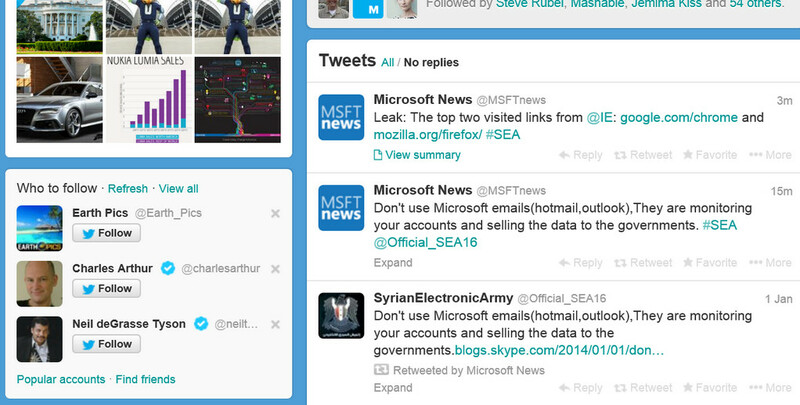 Microsoft's official blog and Twitter account hacked ! 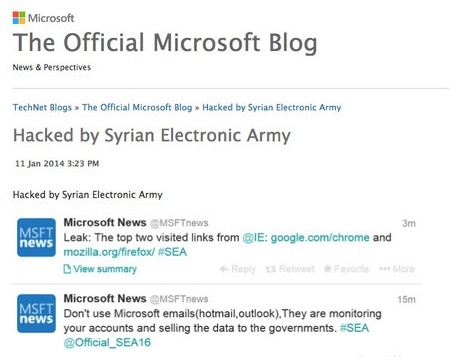 Syrian Electronic Army has attacked Microsoft again, the official blog of the tech-giant and the twitter account was hacked, earlier today. Microsoft has recovered the the social properties very soon after the security breach. SEA has already hacked the Skype blog and Skype's twitter account on 1st January which shows that the hackers are aiming at Microsoft's social properties. Still it's hard to believe that a top tech company like Microsoft gets attacks like this, SEA has made a counter attack upon Microsoft.